The next phase of Chips In Racing is here! To become part of the exclusive Chips In experience, please complete the form. Tony will add you to a private Facebook group upon launch, which will include his exclusive tips on the upcoming autumn and winter carnivals. Please provide the email address you use to log into Facebook so we can add you to the Chips In Exclusive group. What is Chips In Racing? In 2013 Tony Edser made a name for himself in the racing industry as a racing analyst and racing journalist by establishing the brand “Chips In” at RacingZone. Tony’s “Chips In” previews on a Wednesday quickly received up to 6,000 views in a single week as he established a loyal following. Tony’s selections have been consistently successful over long period of time and this is evident with his thousands of Facebook followers. In 2014 Tony left RacingZone and proudly launched ChipsInRacing.com.au. For the last 5 years Tony’s has provided followers a weekly “Chips In” preview with full betting selections, articles on horses to follow, and lessons learnt from the weekend of racing. During this time Tony has been a regular guest on Bar Tv’s “Ponyboys’’, a carnival guest on SEN 1116 with Darren Parkin, and he has also hosted private racing functions during autumn and spring carnivals. Chips In Racing is about to head into the next and most exciting chapter. From The 9th of March 2019 Chips In Racing will have a rebranded website which will allow punters to register for free tips for the upcoming autumn and winter carnivals. There will be tipping comps, horse shares giveaways, racing ticket giveaways and much more. This new venture is all thanks to the support of JR Thoroughbreds. My whole life I have been a racing enthusiast and tragic. 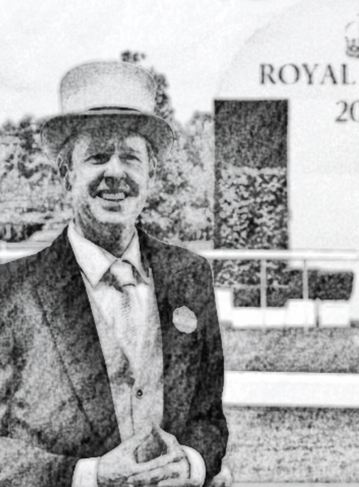 From horse ownership, to a racing fan, to a punter, I have always been involved in the sport of kings. This great passion of mine has taken me around the country and around the world. As a race horse owner you take the good with the bad, and as a racing fan and punter you take the bad with the good. Owning winners, following the champions of the turf, and backing winners are secondary when it comes to my passion for horse racing. The people I have met, the life time friendships that I have made, and the life changing moments I have witnessed, is the reason why I will always be involved! I have a special bond with my twin brother and my late father Desmond because of racing. For this, I am forever grateful, racing doesn’t owe me a cent! People who have a passion for horse racing have a bond. As a punter some days you can feel broke, but when you are at the races with people you love you can feel like the richest man in the world. In the beginning when Racing Zone were looking for people to preview races and I submitted emails called Chips In that I had been sending mates at work who enjoy a punt and I guess the rest is history. My first Chips In tips lobbed 3 winners from 3, with Shiny Buttons at $5, Epaulette at $7 and Precedence at $23. Week 2 was much the same with Gondokorro at $4, Sizzling at $8 and Fire Up Fifi $5. The first 16 weeks of Chips In we recorded 14 decent wins. My First 6 “Chips In” best bets all saluted. I am coming off my best spring ever, if anyone followed Chips In or my personal facebook page, they know Derby Day was THE BEST OF DAYS. I am excited about the future of Chips In Racing where I am confident a community of punters will be established. If you want to get in touch, please email tony@chipsinracing.com.au or send a message through the Chips In Racing Facebook page. Please gamble responsibly. If you require help, please call the Gambling Helpline on 1800 858 858. All views are those of the author. Chips In Racing takes no responsibility for any outcome from taking said advice. Copyright © 2014-2019 Chips In Racing. All rights reserved. Created, hosted and managed by Peter Bower.